Melbourne Cup weekend is almost here and what a great time to escape from the big smoke to sunny Lakes Entrance! Here at Lakes Entrance Tourist Park, we still have some un-powered sites, and cabins available. But be quick with the weather forecast we are sure to fill up pretty quick. Lakes Entrance as usual will have lots to offer you and the family, to keep you all entertained for a great weekend away. Great BBQ weather coming our way, so grab some snags and come visit, we will look forward to seeing you. Call on 5155 1159, and book yourself a site or accommodation now. Well October is nearly half way gone, well on our way to Melbourne Cup Weekend. Starting on the last day of October, it will be here in no time. We still have cabins and sites available, so give us a call and reserve one before its too late. Lakes Entrance has plenty to see and do over the Cup weekend. Give Lakes Entrance Tourist Park a call and stay for a few days. 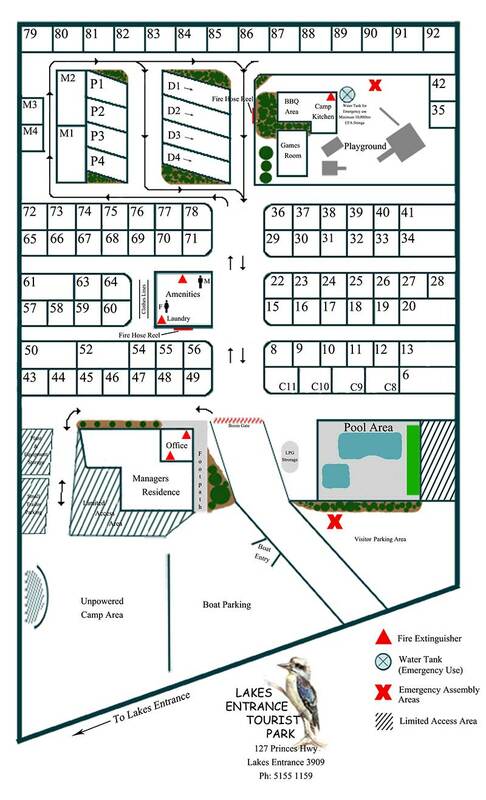 If you don't have a tent, then we can help you with 3 levels of cabin types. Pack some clothes and enjoy some time out of the hustle and bustle of the city. Hi Everyone, well it looks like the weather will hold out for the last week of the School Holidays! Still have cabins and sites available to take advantage and have a nice break. With our prices still being at off peak, it doesn't have to break the budget either! Give us a call and come on down to Lakes Entrance Tourist Park. With School Holidays just around the corner, and the weather in Lakes Entrance starting to feel like spring, book ahead for Cabins and Camp Sites to not be disappointed. We have Family Cabins and smaller Ensuite Cabins to accommodate a couple or family. With our big open spaces, we're the perfect family park to spend your school holidays. 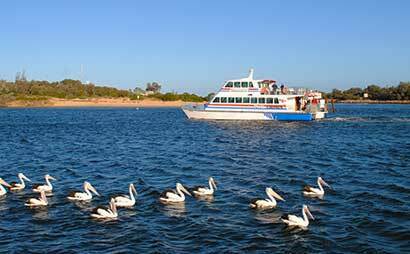 Lakes Entrance has plenty to offer to keep the family entertained. With Autumn coming on, the Gippsland Lakes come alive with wildlife and birds. On our journeys and travels around Lakes Entrance lately, we've noticed the wide variety of wildlife, making their homes in and around the Gippsland Lakes. Many fisherpeople we have as guests, relay vivid tales of wonderful sightings of eagles and seabirds, whilst Lake or Ocean fishing. The cyclists staying over night on their way up the East Gippsland Rail Trail, comment on wallaby and emu sightings all along the trail. So if you're looking for a destination for your Autumn break, give us a call, and we'll make your stay fun and comfortable. School Holidays have begun, and Easter is just 2 weeks away. Time for a holiday. Lakes Entrance has been a favourite destination for families for years, with it's large Lakes system and miles of beaches. 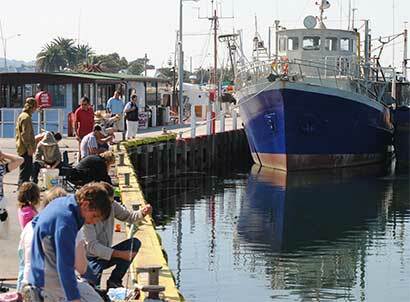 Autumn on the Gippsland Lakes is predominantly calm and mild with many warm days. Making it ideal weather for crabbing, fishing, walking and cycling. The Lakes are so calm at the moment, that hiring a canoe would be a great idea, to just paddle in the silence, observing the birdlife and views. If you're wondering where to go this Easter, consider coming down to Lakes Entrance.